Welcome to the Craftsman Brewing Company's home on the web. Here you will learn about our award winning beers and the secret ingredient that makes each of them so special: integrity. We put a lot of it into every step of the brewing process, and it shows. Step on out to your local pub and find out for yourself! 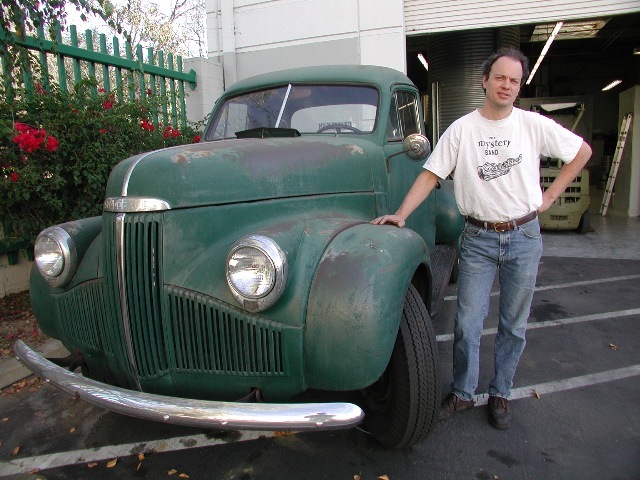 A real Craftsman is never far from his Studebaker. Founder and Owner Mark Jilg stands next to the Craftsman Brewery's delivery truck.